9/11 almost instantaneously remade American politics and foreign policy. The wars in Iraq and Afghanistan, the Patriot Act, water boarding and Guantanamo are examples of its profound and far-reaching effects. But despite its monumental impact — and a deluge of books about al-Qaeda and Islamist terrorism — no one has written a serious assessment of the man who planned it, Osama bin Laden. Available biographies depict bin Laden as an historical figure, the mastermind behind 9/11, but no longer relevant to the world it created. These accounts, Michael Scheuer strongly believes, have contributed to a widespread and dangerous denial of his continuing significance and power. 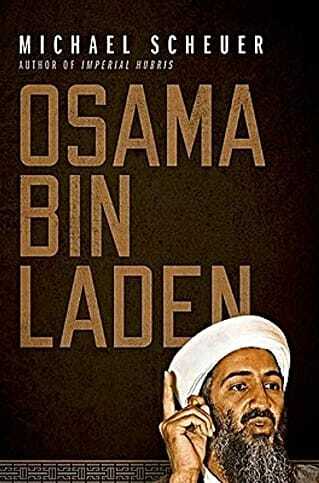 In this book, Scheuer provides a much-needed corrective — a hard-headed, closely reasoned portrait of bin Laden, showing him to be a figure of remarkable leadership skills, strategic genius, and considerable rhetorical abilities. The first head of the CIA’s bin Laden Unit, where he led the effort to track down bin Laden, Scheuer draws from a wealth of information about bin Laden and his evolution from peaceful Saudi dissident to America’s Most Wanted. Shedding light on his development as a theologian, media manipulator, and paramilitary commander, Scheuer makes use of all the speeches and interviews bin Laden has given as well as lengthy interviews, testimony, and previously untranslated documents written by those who grew up with bin Laden in Saudi Arabia, served as his bodyguards and drivers, and fought alongside him against the Soviets. The bin Laden who emerges from these accounts is devout, talented, patient, and ruthless; in other words, a truly formidable and implacable enemy of the West. “No serious observer of the war on terrorism can ignore this scathing critique.” — Peter Bergen, author of Holy War, Inc.